Welcome to Apartments Garda Resort Peschiera del Garda. 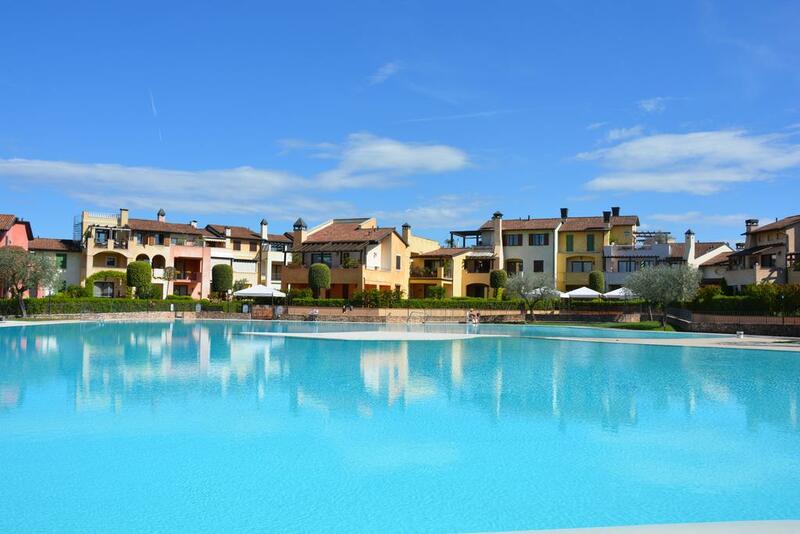 The Residence Garda Resort is one of the best resorts at Lake Garda, situated in the southern part of the lake between Sirmione and Peschiera del Garda, with easy access to tourist attractions like Venice, Milan, Verona and Padova. The residence, a luxurious enclave situated a short distance from the lake, consists of typical Mediterranean style townhouses and may have studios or one and two bedroom apartments. All the comfortable apartments have air-conditioning/heating and a big terrace/loggia, most overlooking the 120 m long swimming pool built in the form of a lake. For recreational purposes the residents have the use of tennis courts, volleyball and football fields, olympic sized swimming pool, children's pool, putting green, club house and much more. For easy convenience a small supermarket is located on the property. The short distance to the Milan/Bergamo airport offers convenient airline connections to Ireland, Great Britain, Holland, Germany and Scandinavia. We propose special offers for golfplayers, giving them the opportunity to discover some of Italy's best courses. (Residence Garda Resort Peschiera del Garda apartments residence).